We all love pigs in a blanket, and if you say you don't, you're lying through your teeth. This sneaky ingredient-swap -- that subs breakfast sausage for hot dogs and cinnamon rolls for pastry dough -- gives you an excuse to eat them for breakfast! This is one of those two-ingredient recipes that makes you go, "Damn, why haven't I thought of that?" 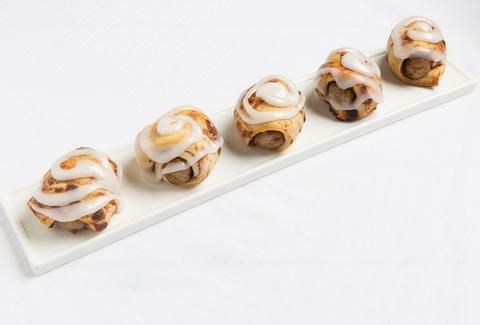 A breakfast that also qualifies as dessert. Remove dough from can; reserve icing. 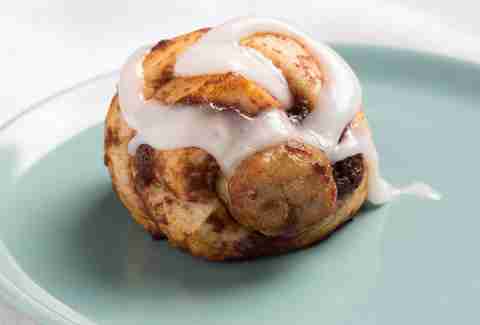 Unravel each cinnamon roll and wrap the dough around the sausages. Arrange on a lined baking sheet and bake for 12-15 minutes or until golden brown. Serve warm with icing on top.